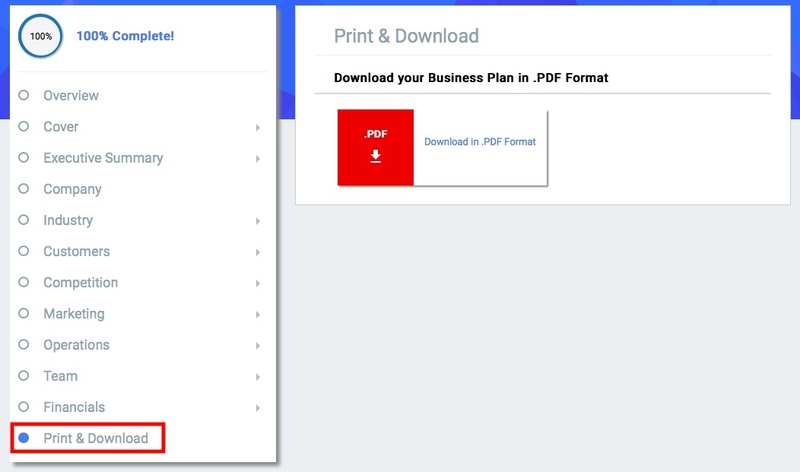 Step 1: Please visit https://planbuildr.com/business-plans and click on the business plan you'd like to print. Step 2: Once in your plan, click on "Print and Download" at the bottom, left hand side. 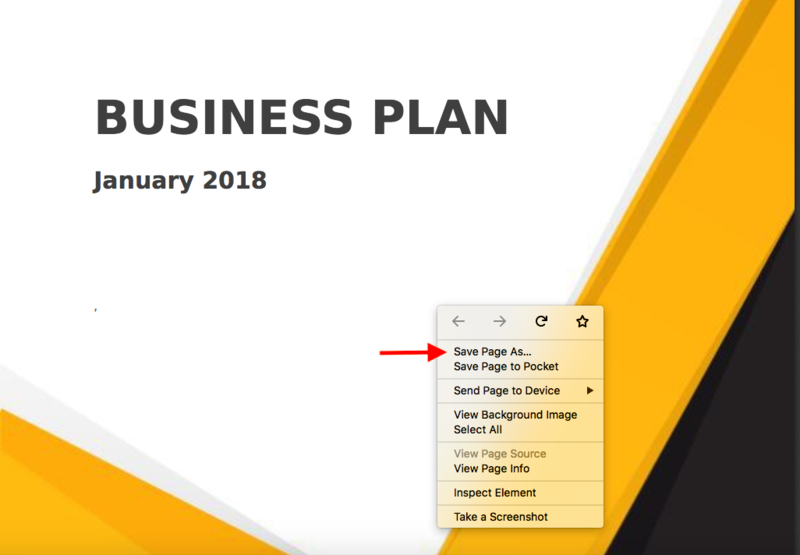 Step 3: Then click "Download in .pdf format"
When you click in Step 3, your PDF business plan will open in a new tab/window of your browser. 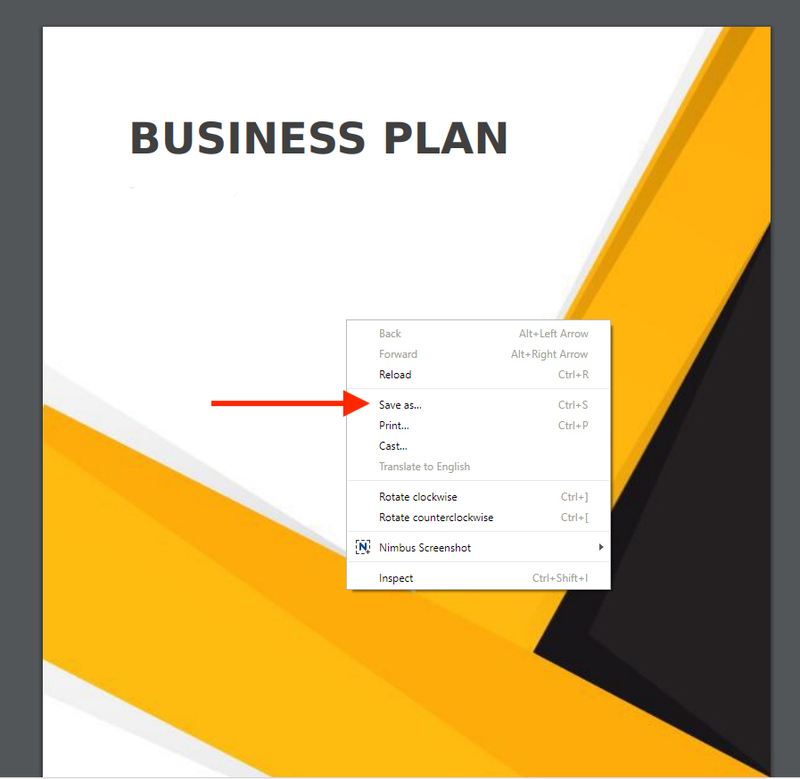 Click on this new window/tab and put your mouse over your business plan. Chrome and Internet Explorer users- Right click and select "save as"
Firefox users- Right click and select "save page as"